Ocala, Florida — Back in July, the pediatric dentistry known as Polliwog Dental, was “audited” by the DEA. The DEA inspected the Ocala office for three hours. Parents in Marion County have had plenty to say about the dentistry. Parents have expressed their concerns about not being allowed to go back with their children, billing errors, and staff disposition. While there are many dentistries that do not allow parents in the back while children are being treated, parents in Ocala do not like the idea. Ocala’s Word of Mouth (OWOM) Facebook page, has more than six thousand members. It is a place for Ocala residents to express their concerns about unfair, as well as exceptional treatment by local businesses. On Augusts 30, 2013, members of OWOM were having a discussion about an alleged protest against Polliwog. Parents were telling their horror stories and asking questions about the protest. 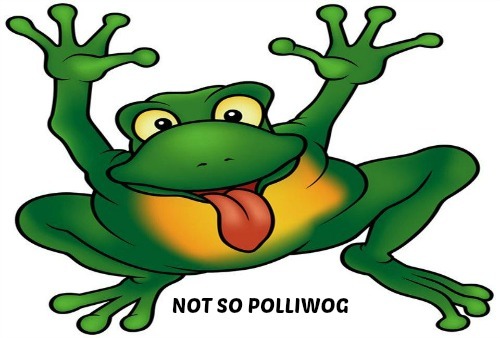 “What I find alarming is that with the numerous polliwog posts, not a single employee has EVER defended them”, one parent wrote. During the conversation, Michael Tarver “jumped” in and lashed out at parents. 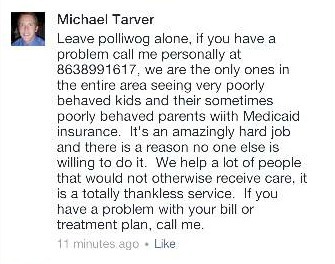 This has infuriated parents in Ocala, and parents are now speaking out against the Polliwog Dental owner, labeling Tarver as very unprofessional. Parents said it does not matter that he deleted his messages, the damage is done. We want to hear from you. Let us know what you think or what experiences you have had. Leave your comments below.